Sunday Photo Fiction: Letter to my Son! This is your third visit! And you are still awkwardly coward to accept it! In numberless ways, I tried to reach out to you, but my voice drowned in front of the colossal walls you have built around your mind. So, I finally thought of writing to you in utter simplicity with the hope that you may pick it up one day…. 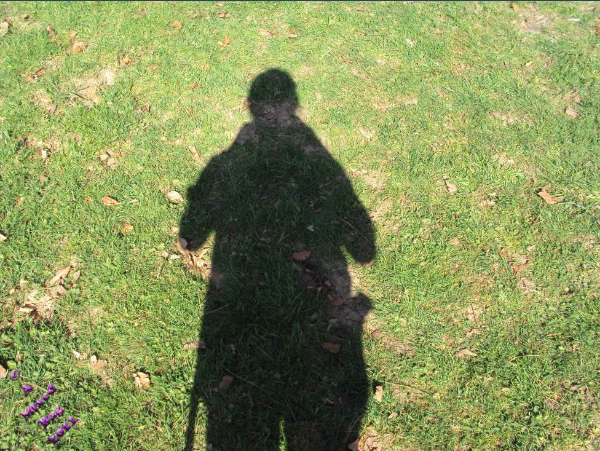 Why do you stand afar with that old bunch of daffodils staring at your shadow like a forlorn warrior? Why are you hesitant to come and sit beside me and listen to our soft murmurs? I have been waiting indefinetly for that dawn when you will march towards me with that forgotten smile, and not with that meandering guilt. For that dusk, when you will wipe away the pile of dust over my epitaph and let the aroma of daffodils saturate among Us. The sun-kissed you, will stand beside Me. And your dust-soaked Shadow will merge with my grave.. Written for Sunday Photo fiction…my first ever entry! This is a beautiful letter. I didn’t guess the end until I reached it. What a lovely sentiment! Thank you so much!! Really glad you liked it! And I am all the more happy because You(one of my most favourite bloggers ) have read it first! Sounds like the spirit of a mother wanting to be close to her son, but gets creepy in the end when she wants to “merge” with her son. I think it’s best he stay away, Mother is being weird. The ” shadow ” of the Son (when he will come to visit her grave) will merge with her ” grave ” referring to her soul…As an embodiment of the everlasting bond mother and son share! Thank you for stopping by and your feedback! Do check other posts as well.. Thanks I’ve been at this awhile, I check other posts. A heartfelt letter by a Mother to a son who either has something to feel guilty about or has a difficult time accepting the reality. Nice piece! Thank you so much !! I Hope you like other posts as well!! Thank you again.. This is beautiful. My son was just like this and I chose to accept his anger -as I understood my share in creating it. When I did that, the anger I had at him passed, and so did his anger at me -it just took about a year longer than mine. Hope for both of you -for coming together. Thank you so much..It really means a lot to me!! And for sharing your thoughts.. But yes, I am Just 18…Not a Mother..This was more of a fictional piece inspired by the teenage years of my brother!! I really love the way you have used the prompt. Using it as a letter to a son. Excellent. Thank you so much!! I am so glad that you liked it! Thanks to you as well for putting up such a thoughtful prompt! I look forward to taking part in it more often! Your comment today made my day..I am so happy! Love you! I love u more ..any day ! Well,let’s not start that old debate out here..
Touching story. I like the way you built up to the final surprise. Have a nice weeek ahead! Stay connected! maybe you are 18 but sure you do know the thinkings of a mother(alive or dead). Somewhere the bond between my Brother and Mom helped me frame it! What does your brother do and your place? My Brother is presently pursuing Masters in Mathematics from UK..He will return to India later this year..
And I am from Kolkata! Ever been to my city? And you are absolutely right Kolkata loves to celebrate sports be it Football or Sourav Ganguly.. I will.what do you know about kerala? That it is God’s Own Country.. I haven’t been to Kerala as of yet! But We do have plans to visit..My grandpa visited Kerala few years back and he was all praises About the Backwater Cruises!! That’s a Brilliant way of looking at it..yes blogging helps us interact with such varied people each one unique in their own skills.. Thank you for stopping by! I hope you liked it…Stay in touch! you like movies?which one-english,bengali,hindi?your favorite actor and actress? I love movies in any language until the plot is good. ( subtitles always help you) On a whole, I love Johnny Depp, Hugh Jackman and Meryl Streep a LOTTT..
And here, Aamir Khan for the legacy of his acting..But Ranveer Singh, Randeep Hooda, Nawazuddin are few names whose acting skills are amazing..
Why no new posts 🙂 ? So less frequent in blogging. I am glad that you asked. Thank you. I will try to come up with something new. Thank you very much.. I hope it goes good! Have a nice week ahead ! I am overwhelmed that you enjoyed it! Thank you! Experienced bloggers like you really inspire me and push me a lot to write better next time!! Thank you so much..I adore the way you always speak from your heart and share your honest thoughts..And I will always try to keep the passion of writing living in me regardless of What Life bestows on Me…Thank you for such kind and inspiring words! You added beauty to my blog! Secondly, Thank you so much for this feedback. I will definitely try to practise this. I will try to incorporate this from the next post. I am blessed to have such a reader, and honoured to follow you. And last but not the least! Please never hesitate to put forward your views. I am never going to label them as ” offense ” or ” rude “. Thank you again. Have a nice day! And thanks for the follow as well..Its really good when people love your stuffs..
Keep reading and Stay connected! Yeah- my first ever try for Photo fiction!! I am glad that you liked it and I hope I can come up with better stuffs. And All the Best for the 3 Line Prompt. Keep up your Brilliance! So, now with your every TLT you will go – Perfect, Perfect and more Perfect !! Thank you so much for such a Beautiful compliment. So, stay connected! I am really glad to have readers like you! Thank you again for stopping by ! Well… It’s been long since I read this well crafted piece of yours… Subtly good it is… Sorry for the delay… !!! Its absolutely fine even if you are late. I am really glad to hear from you after such a long time. Thank you. I was looking forward to this ! Hope all is good. Thank you again ! Well, ” novelistic ” is a Beautiful compliment.Thank you so much. Last word is a twist. You are far more clever and win my appreciation. I am all for you. Hope you will understand I am bankrupt now….have nothing to adore you. Already said what should I say. I don’t want to be feel embarrassed to repeat my words. Let the silence convey my message to you. I am nothing but a droplet in this huge sea of intellectual minds around me. And if for once I could create waves in your mind I am extremely glad. For that even if you have to repeat your words it would mean as much appreciative as the first time. Now,even I am out of ways to say the same Thank you. Know that you are simply awesome.